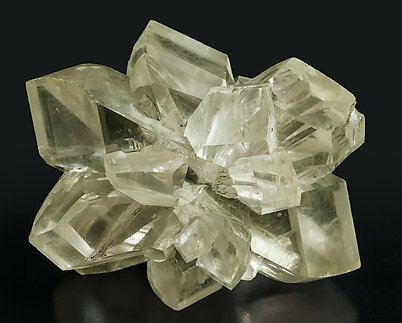 Very sharp and extraordinarily clear and bright Gypsum crystal with very well defined crystalline forms, partially doubly terminated and on matrix. A Spanish classic that is increasingly scarce. The sample is from the Ignacio Hernández collection (num. 104) whose original label we’ll send to the buyer. 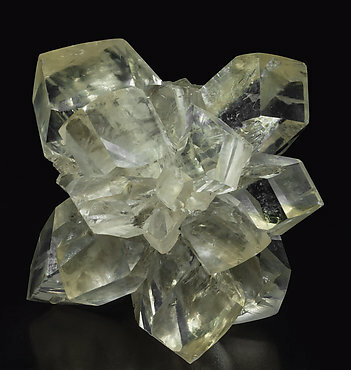 Radial aggregate of very sharp, colorless, transparent and very bright Gypsum crystals from a classic Canadian locality. 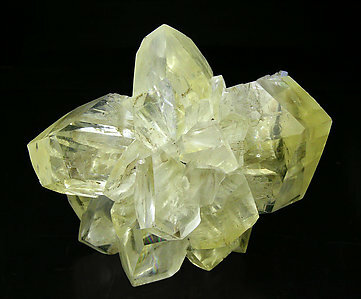 Floater radial aggregate of thick Gypsum crystals that are very transparent and bright and have a pale yellow color. They have the particularity in that they are both fluorescent and phosphorescent under an ultraviolet light. The sample is from a classic Canadian locality. The sample is very esthetic. The crystal has very well defined faces and edges, and a magnificent transparency and luster. 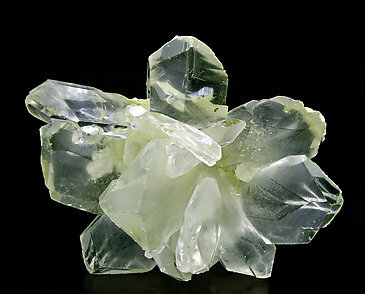 On Gypsum (alabaster) matrix. Floater group of thick prismatic crystals. They are bright, very transparent and have a neat yellow color and have the particularity that they are both fluorescent and phosphorescent under an ultraviolet light. 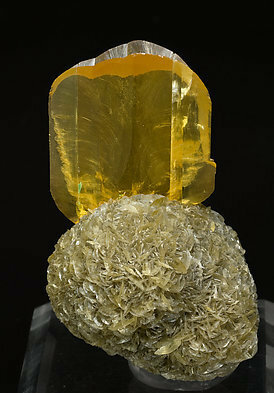 Neatly twinned clear crystal, very bright, with a color between yellow and orange and located on a spherical aggregate of lenticular crystals of the same Gypsum. 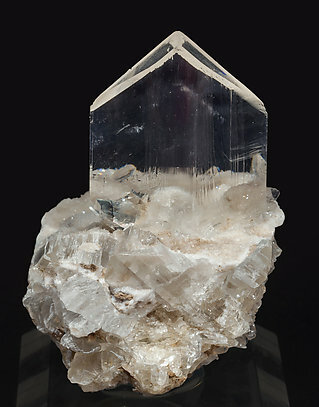 Very fine and aerial multiple-scepter growth of twinned, some doubly terminated, Gypsum crystals that are very rich with inclusions. The sample is from the collection of La Unión area minerals of Alain Martaud, whose label we’ll send to the buyer. 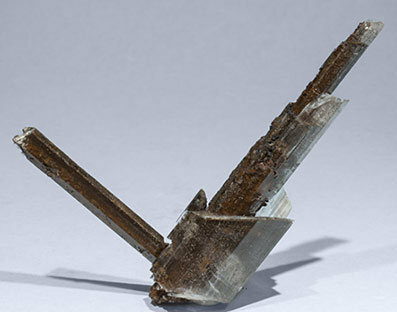 Very sharp, transparent and bright Gypsum crystals on marl that are very rich in hematite inclusions. 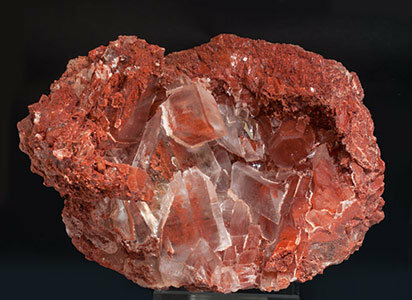 In March 2002 a small pocket of nice Gypsum was found at the Boldut Mine. We recently got hold of one of these specimens, which are now hard to get due to the popularity of this material and the small number of specimens found. This particular specimen is larger than most others and has a nice display form. 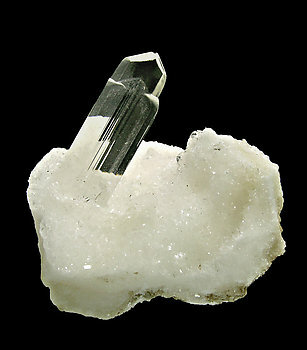 Parallel growths of very sharp Gypsum crystals that are clear and colorless and very bright. 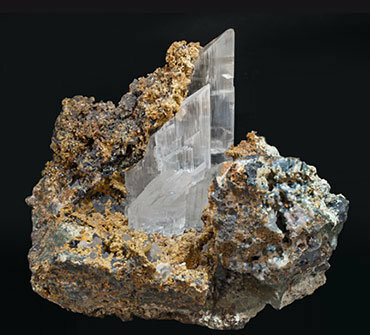 On a rocky matrix with small Siderite crystals and Quartz (chalcedony variety). 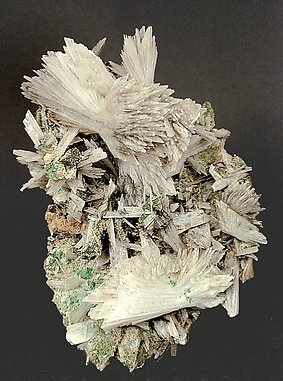 Group of Gypsum crystals with well defined and slightly curved faces and edges. Transparent to translucent showing a pearly luster. The matrix, rich in Sulfur, indicates its origin. We would like to emphasize that good specimens like this from the locality are rare. The specimen shows on its rear an old collection catalog number.